After the less than excellent photo on the previous post, here’s one I’m quite pleased with. We did a trip to The British Library and St. Pancras Station on New Year’s Eve. 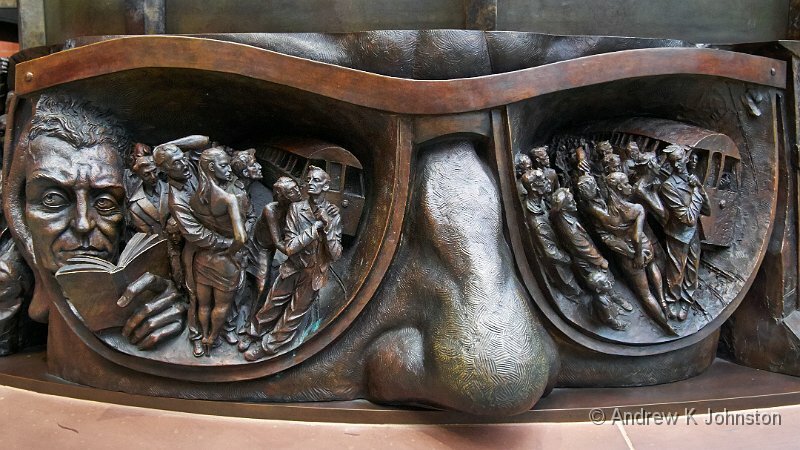 Here’s a fascinating detail from the great statue at the entrance to the station. ---- Next Post: Caught by The Law!